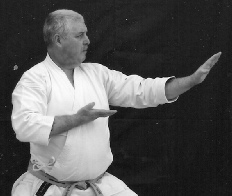 After 40 years of tenacious dedication to Karate, Wayne Teall, Chief Instructor of Norton Radstock Shotokan Karate Club has been honoured with the Master Rank of 5th Dan. 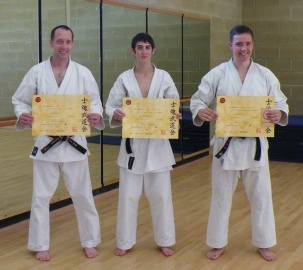 Promotion was achieved in part through the Japan Karate Association (JKA) and finalised after an exhausting Examination held at Egham Leisure Centre. 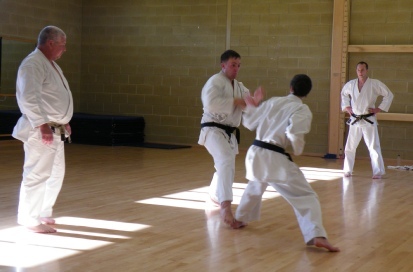 Sensei Teall had to perform nine Katas, followed by self defence techniques including throws and arm locks. Finally to round off proceedings he undertook intensive combat free sparring with another high ranking black belt. 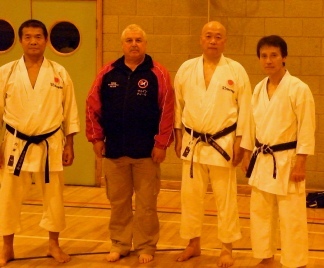 Sensei Teall’s promotion is ratified by Shi Kon Martial Arts and the Martial Arts Standards Agency. 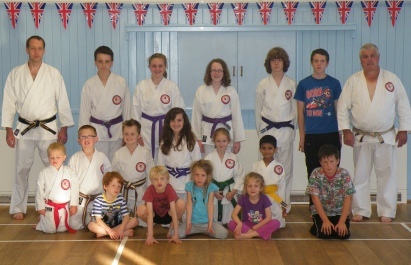 A Club Grading for Members took place on 30th June at Norton Hill School. in Windsor, 27th - 29th April 2012. 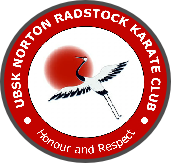 UBSK Norton Radstock SKC held its Annual Club Awards Presentation Evening on Saturday 30 March 2013. 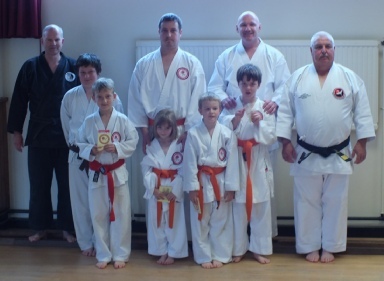 Chief Instructor, Wayne Teall, presented various Awards as the recipients, listed below, were applauded and congratulated by fellow club members and their families. Saracen Yates, the 17-year-old son of Alan John Yates who died in a road accident in 2007, bravely fought back tears as he accepted an award in memory of his late farther. 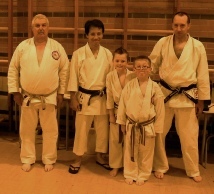 Saracen was accompanied by his 7-year-old sister Phoenix and Grandparents Jill and David Yates for the presentation of a posthumous 3rd Dan Black Belt from U.B.S.K. 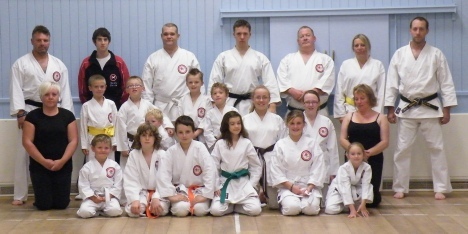 Norton Radstock Shotokan Karate Club. Alan was 31 when he died after being seriously injured in a multi-vehicle collision in Codford in June 2007. Before his untimely death he was a dedicated student of the Club, having first joined as a young boy. 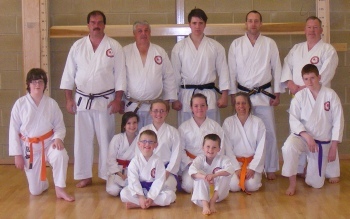 Chief instructor Wayne Teall 5th Dan, who has been teaching Karate to children and adults for the past 43 years, invited the family to a special presentation evening held at Prattens Sports and Social Club. Wayne Teall said "Alan was very important to all of us at the club he joined as a young boy and carried on training as he grew up. He was not a natural but his dedication meant he would always make the grade and he had the spirit to keep training no matter what. He truly earned my honour and respect." 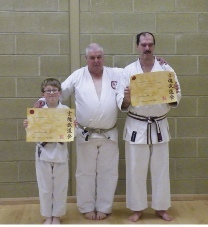 Alan's mother Mrs Jill Yates was presented with a framed Photograph of her son wearing his Karate GI, while his father was made an honorary Shodan 1st Dan Black Belt to acknowledge his own commitment to the club. The Club further honoured Alan with the creation of the 'Alan Yates Memorial Shield' which was awarded to Philip Barson. 29 March 2014 at Prettens. 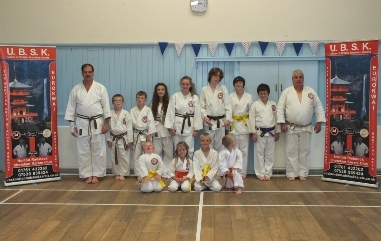 Chief Instructor, Wayne Teall, presented various Awards as the recipients, listed below, were applauded and congratulated by fellow club members and their families. 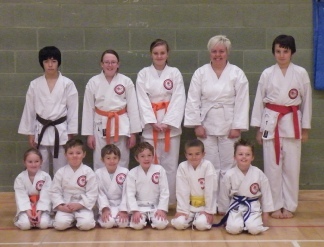 A CLUB GRADING also took place on Saturday 29 March 2014, congratulations to the students who successfully passed. The second Alan Yates Memorial Trophy night was held at the Pratten Sports and Social Club on Saturday 28th June 2014. The club honoured Alan this year by holding a BBQ in is memory. All his family were invited to the second special presentation evening and Alan’s parents were presented with a framed photograph of their son when he came third in the K.U.G.B. National Championships at Crystal Palace. The club further honoured Alan by presenting the Alan Yates Memorial Shield to this year’s winner Lewis Southard. 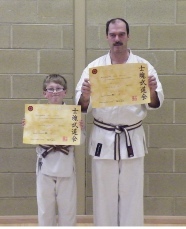 The final award of the evening was the Sensei Wayne Cup which went to Reuben Wade for outstanding effort. Members had a very good evening. 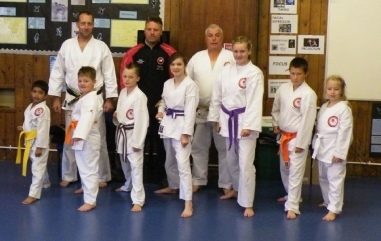 A club grading took place on Saturday 20th September 2014 at Norton Hill School. 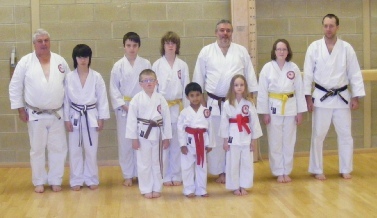 Congratulations to the students who successfully passed their grading.